Our Maeng da Kratom Powdered Leaf is the freshest and cleanest material available, certified free of any dangerous pathogens, mold, or heavy metals. Not only were we one of the first importers of dried Kratom leaf, we were the first to initiate quality testing for all Kratom leaf that was coming into the country over 10 years ago. Over 2 decades in this business, we have a wide variety of sources, and only the best sources make it through our strict screening process. Why trust Maeng da Kratom from anywhere else? We only offer Maeng da that has a verified Mitragynine content of at least 1.4% - 1.8%. See the full description below for all that makes our Maeng da Kratom Powdered Leaf the best you can buy. All of our Kratom is verified authentic by Wonderland-Labs, and we only choose the highest quality Maeng da Kratom from verified sources. Nearly 2 decades in business, we have a wide variety of sources, and only the best sources make it through our strict screening process. Why trust Maeng da Kratom from anywhere else? We only purchase MAeng da that has a verified Mitragynine content of at least 1.6%. Anything less gets passed over, and we'd rather be out of stock on this top quality material than provide our customers with inferior leaf. Maeng Da is a unique strain of Kratom Leaf that has been gaining popularity recently. Now here is the POWDERED form of Maeng Da Kratom. It's often short supply, and increasingly high in demand. 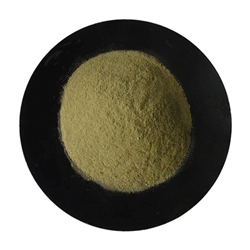 Maeng Da has more energizing characteristics, making a highly sought-after Kratom variety. This special strain of Kratom is also available as an extract. Place in an incense burner alone or with other favorite aromatic herbs. All of our Kratom is verified authentic by Columbia or Wonderland-Labs, and we only choose the highest quality Kratom leaf and powder from verified sources. Nearly 2 decades in business, we have a wide variety of sources, and only the best sources make it through our strict screening process. Why trust Maeng da Kratom Powder from anywhere else?